SOUTHERN RITES visits Montgomery County, Ga., one year after the town merged its racially segregated proms, and during a historic election campaign that may lead to its first African-American sheriff. Acclaimed photographer Gillian Laub, whose photos first brought the area unwanted notoriety, documents the repercussions when a white town resident is charged with the murder of a young black man. The case divides locals along well-worn racial lines, and the ensuing plea bargain and sentencing uncover complex truths and produce emotional revelations. This timely film debuts the week of the Supreme Court’s landmark Brown v. Board of Education decision 61 years ago. Executive produced by John Legend, Troy Carter and Mike Jackson; written and produced by Josh Alexander. 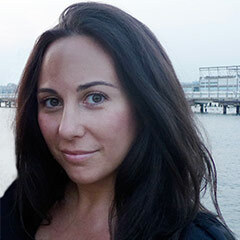 Gillian Laub has spent the last two decades investigating political conflicts, exploring family relationships, and challenging assumptions about cultural identity. Her work frequently addresses the experiences of adolescents and young adults in transition who struggle to understand their present moment and collective past. In Southern Rites, Laub engages her skills as a photographer, filmmaker, storyteller, and visual activist to examine the realities of racism and raise questions that are simultaneously painful and essential to understanding the American consciousness. Southern Rites, an exhibition organized by The International Center of Photography in New York, is now available for booking and will be touring through 2023. If you are interested in finding out about availability or to reserve a slot on the tour, please contact travelingexhibitions@icp.org or 212.857.9738. OVERVIEW: Southern Rites is an original and provocative twelve-year visual study of one community’s struggle to confront longstanding issues of race and equality. In May 2009, The New York Times Magazine published a photo-essay by Gillian Laub entitled, “A Prom Divided,” which documented Georgia’s Montgomery County High School’s racially segregated prom rituals. Laub’s photographs ignited a firestorm of national outrage and led the community to finally integrate. One year later, there was newfound hope—a historic campaign to elect the county’s first African American sheriff, yet the murder of a young black man—portrayed in Laub’s earlier prom series—by a white town patriarch, reopened old wounds. Through her intimate portraits and first-hand testimony, Laub reveals in vivid color the horror and humanity of these complex, intertwined narratives. The photographer’s inimitable sensibility—it is the essence and emotional truth of the singular person in front of her lens that matters most—ensures that, however elevated the ideas and themes may be, her pictures remain studies of individuals; a chronicle of their courage in the face of injustice, of their suffering and redemption, possessing an unsettling power. Gillian Laub on portraying and re-portraying in "Southern Rites"
Written by Maya Benton, Consulting Curator at the International Center of Photography. "Riveting...In a calm, understated tone, Southern Rites digs deep to expose the roots that have made segregated proms and other affronts possible. Southern Rites is a portrait of the inequities that lead to disaster on the streets of cities like Baltimore and Ferguson, Mo." "There is room here for many different, even contradictory thoughts. But that Laub allows for human messiness as an agent of this tragedy doesn't mean that she denies the social context. Her eye is keen; much drama proceeds from the light and landscape and the mortal faces of Laub's subjects working around to an idea." "This excellent HBO documentary puts a small Southern county beset by racial tensions under the microscope." "This documentary is at similar times heartbreaking, but incredibly affecting." "...one of the most provocative documentaries I've seen in a long time." "Southern Rites is an engaging piece of long-form investigative journalism about a, sadly, ongoing issue, and for that reason alone, it is as much of a must watch as Selma." Josh Alexander is one of the founders of Group Effort Films. He wrote and co-directed PRESCRIPTION THUGS, Chris Bell's follow up to BIGGER STRONGER FASTER, which will premiere at the 2015 Tribeca Film Festival. Previously, he was a consulting producer on Michael Lessac's multiple-award winning documentary A SNAKE GIVES BIRTH TO A SNAKE (Durban, Woodstock, Santa Barbara film festivals 2014); and wrote and produced the Sarah Jessica Parker executive produced documentary PRETTY OLD, which was released in 2014. In the fiction world, Josh co-executive produced the Alan Bates film SINS OF A FATHER, a movie which was originally filmed over 25 years ago and never finished or released, and was resurrected with the original cast, which premiered at the 2015 Santa Barbara International Film Festival; and he wrote, produced and starred in BACKSEAT, winner of the Audience Award at the Austin Film Festival and released by Truly Indie in 2008. Josh has written two screenplays with the noted novelist Beverly Coyle and has numerous other fiction feature and television projects in various stages of development. Renowned Entrepreneur/ Investor, Troy Carter is the Founder and CEO of Atom Factory, a pioneering media and music management company. Carter has established the careers of numerous recording artists, including multi-platinum Grammy-Award winner Lady Gaga. Carter began his career in Philadelphia working for Will Smith and James Lassiter’s Overbrook Entertainment, and joined Bad Boy Entertainment in 1995 where he worked with groundbreaking artists such as Notorious B.I.G. In 1999, Carter formed the boutique talent management company, Erving Wonder. The brand quickly became one of the preeminent artist management firms and was acquired by the Sanctuary Group in 2004. After founding Atom Factory in 2010, Carter has continued his disruptive approach in entertainment and technology. In 2011, he founded AF Square, an angel fund and technology consultancy. Today, the AF Square portfolio holds interest in more than 60 technology companies at various stages of growth, including Uber, Dropbox, Spotify, Fab, Pinterest, and Lyft. Carter is an Aspen Institute Henry Crown Fellow and sits on the boards of The Grammy Foundation, T.J. Martell Foundation, United Nations Foundation Global Entrepreneurs Council, and The Buckley School. John Legend is a critically acclaimed, multi-award winning, platinum-selling singer-songwriter. His work has garnered him nine Grammy Awards, an Academy Award, a Golden Globe Award, the BET Award for Best New Artist and the special Starlight Award from the Songwriters Hall of Fame. Most recently, Legend won his first Academy Award, first Golden Globe Award, and won the 2015 Critic’s Choice Award for his song “Glory,” that he wrote and performed with Common, for the film SELMA. Throughout his career, Legend has worked to make a difference in the lives of others. In 2007, he launched the Show Me Campaign (ShowMeCampaign.org), an initiative that focuses on education as a key to break the cycle of poverty. The 2010 BET Humanitarian of the Year award, the 2009 CARE Humanitarian Award for Global Change, the 2009 Bishop John T. Walker Distinguished Humanitarian Service Award from Africare and the 2011 Harvard Foundation Artist of the Year Award recognize Legend's efforts and leadership in this arena. 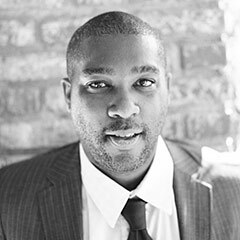 John sits on the boards of The Education Equality Project, Teach for America, Stand for Children and the Harlem Village Academies and co-chairs the Harlem Village Academies’ National Leadership Board. Legend also serves as one of the principles for Get Lifted Film Co., a film and television production company based in Los Angeles. Mike Jackson is both a producer and a talent manager at Get Lifted Film Co.
Jackson began his career at Grey Advertising in New York as the production coordinator responsible for publicity and opening nights of several Broadway shows, including Chicago: The Musical, Jekyll and Hyde, Steel Pier, Candide, and Barrymore. Jackson founded his entertainment and management company, Cojax Entertainment Group. 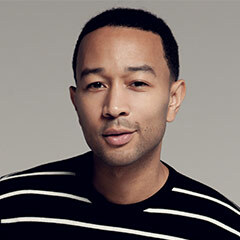 CEG produced major events throughout Philly and New York and represented several rising musical acts, including the Grammy award-winning recording artist John Legend. Jackson relocated back to L.A., where he produced several music videos with Interscope Records and Road Less Traveled Productions and was hired to produce the A&E reality television show “Intervention.” Jackson left “Intervention” to become a partner in Tycoon Entertainment. While at Tycoon Jackson produced films including the Jada Pinkett Smith directorial debut “The Human Contract,” executive produced by Will Smith. Jackson most recently launched Get Lifted Film Co. with his partners John Legend and Ty Siklorius. Get Lifted Film Co has sold ten projects in television to networks including Showtime, NBC, HBO, USA, MTV, OWN and FOX. Ty Stiklorius has spent her career helping creative visions thrive. In 2012, she formed a partnership with Troy Carter and is now Co-President of Atom Factory. Ty manages artists John Legend, Meghan Trainor and Lindsey Stirling. She is also a partner with Legend and Mike Jackson in Get Lifted Film Co. With John Legend, Stiklorius launched The Show Me Campaign with a mission is to break the cycle of poverty by giving every child access to a quality education. Ty earned an MBA from The Wharton School of Business as well as a BA from The University of Pennsylvania. Ty is on the board of Women’s Campaign International (WCI), a US-based, nonprofit organization dedicated to increasing the participation of women in political and democratic processes worldwide. Ty is also on the board of Americans For The Arts. Nancy Novack has been editing documentary and feature films for over 20 years. Her work has appeared on HBO, PBS, ABC, The Sundance Channel, The History Channel and The Discovery Channel; and has been featured at the Sundance, Venice, Tribeca, and New York film festivals. Her films have received numerous EMMY and Peabody awards, the Columbia/duPont and George Polk awards for Journalism and the NAACP Image award. Recent credits include - Ken Burns Presents - Cancer: The Emperor of All Maladies; The African Americans: Many Rivers to Cross with Henry Louis Gates, Jr.; Clinton; Finding Your Roots with Henry Louis Gates; My Lai and Broadway: The American Musical. Southern Rites is Novack's second film on HBO. 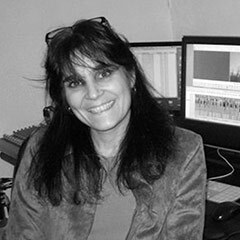 The first, Spike Lee’s When the Levees Broke: A Requiem In Four Acts, earned Ms. Novack an Emmy award for Outstanding Picture Editing of a Non-Fiction Program. Currently, she is editing a PBS series about the history of recorded music. Ms. Novack received her BA from The University of Pennsylvania where she is also a Professor, teaching editing in the School of Fine Arts. Plotch has been editing feature films for the last eighteen years. Included in the 32 films that he has edited is an ongoing collaboration with award-winning director and writer Neil LaBute that includes such films as “In the Company of Men,” “Your Friends and Neighbors,” “Nurse Betty,” “The Shape of Things,” “Lakeview Terrace,” and most recently, “Dirty Weekend”. Additionally, he has continued to edit commercials and music videos, award-winning documentaries such as “Meeting Resistance,” “Gone,” “A Snake Gives Birth to a Snake,” and most recently “Southern Rites,” and numerous shows for television including the just completed Ten-part Comedy for DirecTV called “Billy & Billie.” He also has directed a number of short films, among which was the award winning “Heavy Put-Away,” adapted from a Terry Southern short story (Easy Rider, Dr. Strangelove, etc.) starring Gretchen Mol, Dallas Roberts and Mark Boone Jr. Prior to his feature film career, Plotch was President and Creative Director of JP Studio, a New York based production, editorial, and animation facility where he directed and edited hundreds of music videos and commercials with many awards to his credit. Plotch graduated with a BFA from Washington University’s School of Fine Arts in St. Louis. Emmy winning composer Joel Goodman has scored over 100 films and television programs that have received 4 Oscar nominations, 15 Emmy awards and over 25 Emmy nominations. He has collaborated with an impressive array of distinguished directors and producers including Wong Kar-wei, Neil LaBute, Kevin Spacey, Albert Maysles, Andrew Jarecki, Barbara Kopple, Rachel Grady, Michael Epstein, Oren Jacoby, Irene Taylor Brodsky, Marshall Curry, Sebastian Junger and Fisher Stevens. Joel recently completed the scores to: Dirty Weekend, directed by Neil LaBute and starring Matthew Broderick; the four-hour documentary Walt Disney for the American Experience series on PBS; and An Honest Liar, the incredible story of magician and scientific skeptic James “The Amazing” Randi. 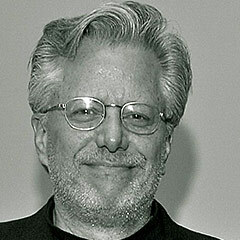 Geof Bartz has been the Supervising Editor for HBO Documentary Films since 1998. Geof started his career as an assistant editor on the 1969 CBS special "Simon and Garfunkel: Songs of America" and has gone on to edit, or supervise the editing of, more than 100 non-fiction films, among them the classic documentary "Pumping Iron." He was the co-producer and supervising editor of the 1979 NBC Emmy winning series "Lifeline;" and produced and co-edited the 1984 20th Century Fox feature "Stripper." In 2000 and 2001, two short documentaries Geof cut, "King Gimp" and "Big Mama", won back-to-back Academy Awards. In 2015, his film "Crisis Hotline: Veterans Press 1" took home the Oscar. Additionally, he has edited four other films that have been nominated for Academy Awards. Geof has been nominated for ten Emmys and won four. 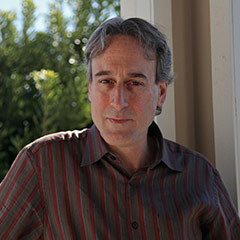 Films he has cut have received three Peabody and two Columbia-Dupont Awards. Geof grew up on Detroit's East Side and graduated from the University of Notre Dame (1966, BA) and Columbia University (1969, MFA Film). He lives on Manhattan's Upper West Side with his wife, Lynn, and daughter, Juliet.